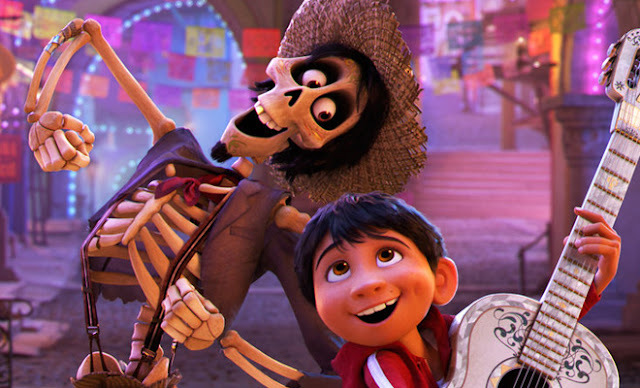 Home » Expired Contests » Enter to win Coco on Bluray! Enter to win Coco on Bluray! 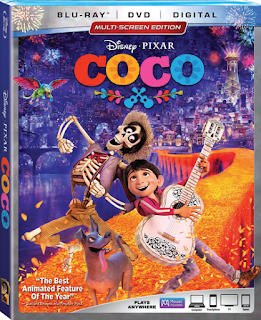 Mind on Movies is very excited to announce that we are working with Disney Pixar to giveaway Coco on Bluray! Disney•Pixar's "Coco" —the story of a 12-year-old aspiring musician's extraordinary journey to the magical land of his ancestors—won a 2018 Golden Globe Award for Best Animated Motion Picture, topped the domestic box office Thanksgiving holiday weekend, became the highest grossing film of all time in Mexico, broke records in China and earned widespread praise, receiving 96 percent from critics and 97 percent from audiences on Rotten Tomatoes. Now this vibrant tale filled with love and laughter arrives home Digitally in HD and 4K Ultra HD™ and on Movies Anywhere on Feb. 13, and on 4K Ultra HD,™ Blu-ray,™ DVD and On-Demand on Feb. 27. Through fresh and fascinating bonus material, adventurers of all ages will tag along with filmmakers as they soak in Día de los Muertos in Mexico; explore the essential role of music in "Coco;" and learn how the cast and crew personally connect with the film's message. They'll step behind the scenes to discover the inspiration behind the film's creative costuming; Miguel's beautifully complicated family; Dante the loyal Xolo dog; and the stunning worlds of both the dead and the living. Features also include deleted scenes, insightful filmmaker commentary, the music of Coco and more. No Purchase Necessary. Only one entry per mailing address per giveaway. The prize will be sent via FedEx or UPS. No P.O. Boxes please. This contest is from Mind on Movies working with Disney Pixar. The entries will be checked.